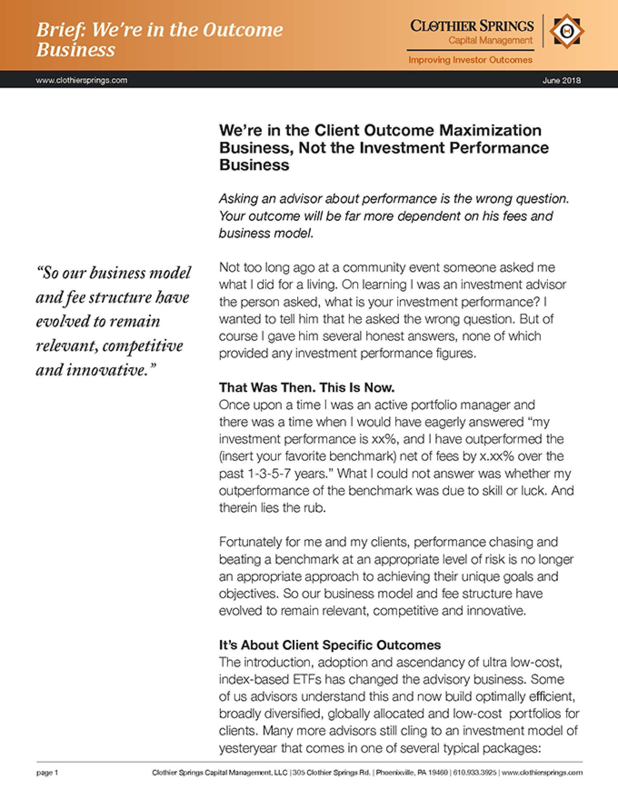 We're in the Client Outcome Maximization Business, Not the Investment Performance Chasing Business. Asking an advisor about performance is the wrong question. Your investment outcome will be far more dependent on his fees and business model. Want to know what the right questions are? Download the brief paper to see how your investment outcome is largely a function of the type of investment program offered by your advisor and the fees he charges.